Did you know that new MOT regulations are coming into force on 20th May? As a result, your vehicle is likely to be put through tougher tests. These changes are part of an EU directive ordering all cars to meet the European Union Roadworthiness Package. Despite the Brexit vote, we will still be an EU member when the directive comes into force. Great, right..?! Well, let’s not panic just yet! Honestly, there are loads of good reasons behind these changes, which will ultimately benefit us all and improve the safety on our roads. So, who will the new MOT regulations affect? The changes will affect cars, vans, motorcycles and other light passenger vehicles. To help guide you through the new rules and how these will affect you, we’ve put together this easy guide. Cars with “minor” defects will be allowed to pass and the faults will be recorded, but those that fall into the “dangerous” category will be subject to an automatic fail. Vehicles with diesel engines will also face a tougher test as any car that has been fitted with a diesel particulate filter (DPF) that give out “visible smoke of any colour” during tests will get a Major fault and also automatically fail. And any vehicle that has a DPF that looks as if it’s been removed or tampered with will not pass – unless it can be proved it has been done so for filter cleaning. There will also be other smaller changes to how some items are checked – but don’t panic, as your local MOT centre we will be able to tell you about these. Cars, vans, motorcycles and other light passenger vehicles won’t need to have an MOT if they’re over 40 years old and have not been substantially changed. At the moment, only vehicles first built before 1960 are exempt from needing an MOT. When the rules change on 20 May 2018, vehicles won’t need an MOT from the 40th anniversary of when they were registered. You can check the date the vehicle was registered online. This means around 1.5 per cent of cars in Britain will not have an MOT certificate, but will be road legal. The Department for Transport defended the decision from suggestions it was an unsafe move, by saying owners of older cars usually keep them in the good condition and don’t use them regularly enough for an MOT test to be necessary. How to pass the new MOT test? That’s the tricky question you want us to answer, right..?! Well, it is now more important than ever to properly maintain your vehicle. A few test failures are likely to be more common than others – tyre tread depth falling below the 1.6mm limit, worn out brake pads falling to less than 1.5mm thickness and poorly aimed headlamps are among these. You can take simple actions to avoid the most common mistakes. Like changing your tyres when they are worn out, also changing the brake fluid regularly (ideally every 2 years) is essential not only for passing the new MOT but also for the safety of your vehicle. As brake fluid ages it can absorb water from its surroundings, which heats up when you break, turning to vapour and leaving you with soft pedals and reduced braking power. Under the new regulations, you can fail the MOT if the washers do not provide enough liquid to clear the windscreen in conjunction with the windscreen wipers. To avoid this, fill your car’s windscreen container with a specific wash solution, which is specifically formulated to achieve max visibility by quickly removing traffic film and dirt, and prevents dangerous sun dazzle. If you drive a diesel vehicle and are a high mileage motorist, you can keep an eye on you DPF warning lights. They indicate when the diesel particulate filter has naturally filled with soot. Using a specific DPF cleaner when your light comes on or as a regular preventative measure will clean and reactivate the filter, saving you time, money and stress. Simply pour it into your fuel tank to prevent problems from occurring. 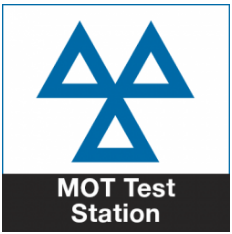 At Exminster Garage, we are happy to assist you with any MOT enquiry. We are proud to have served motorists from Exeter and further afield for more than 100 years. Our dedicated MOT testing bay provides customers with a prompt and valuable service. In the event that work will be required in order for your car to pass the MOT test, we’ll always provide you with a quote first. This entry was posted in Latest News, Top Tips, Uncategorised and tagged MOT, MOT test, MOT tips, new MOT test. Bookmark the permalink. ← Why early spring is the best time to schedule your car Air Con system?